We already know that Cory Booker, Newark NJ Mayor and Senate candidate, is one of the most socially connected and startup friendly civil servants. He ranks up there on the Nibletz’ list with DC Mayor Vincent Gray and Chicago’s Mayor Rahm Emanuel. To date Booker has over 1.4 million followers on Twitter and uses the social platform daily to keep up with his constituents. 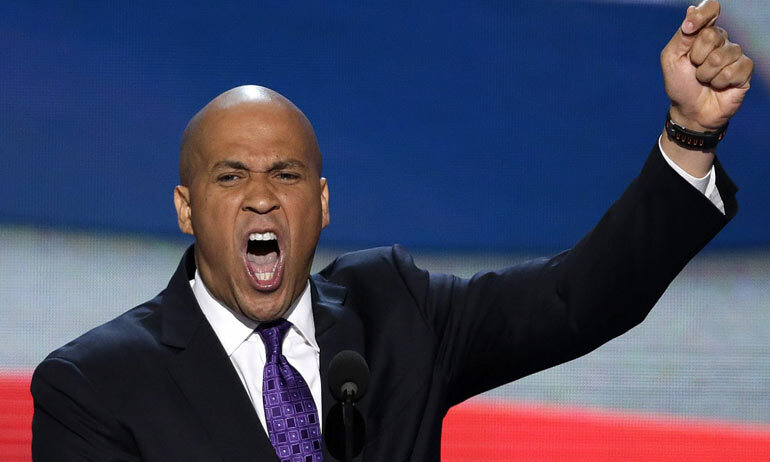 Booker has been looked upon as the next Barack Obama. He’s well loved across New Jersey for his accessible approach to his citizens. He regularly responds to people on social media. It was well documented that during Hurricane Sandy, Booker invited residents into his home to wait out the storm. Booker is now running for the US Senate in a race many say he has a good shot at winning. He is running for the seat left vacant when Frank Lautenberg died in office earlier this year. Booker has reportedly raised $5 million dollars to date, and as with any campaign any donation big or small is always welcome. To make it easier, Booker was looking for a platform that would enable his Twitter followers to easily donate to his campaign via Twitter. The platform he chose for this mission was St. Louis startup Givver. Givver allows Twitter users to donate by tweeting amounts to the service. Users must sign up for Givver first, but once they are signed up, donating via Givver is just as easy as donating to the Red Cross through a text message. “The folks at Givver reached out to us and helped us get set up just to see how it goes,” said Larry Huynh, a member of Booker’s digital team. “When the idea and the platform was brought to our attention, we said, ‘For sure, let’s give it a go.’ With his huge presence on Twitter, it really made sense that we were providing folks who are supporters of Cory Booker any mechanism to support the campaign in any way they see fit,” Huynh added. Booker isn’t alone though. Virginia gubernatorial candidate Terry McAuliffe has also turned to Givver to let his constituents easily donate via Twitter as well. While progressive with his social media strategy, the McAuliffe campaign pales in comparison to Booker’s. McAuliffe currently has 10,911 followers on his Twitter account.